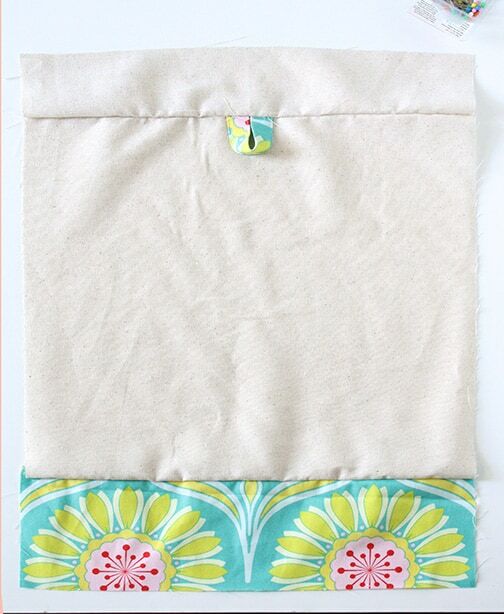 Sew yourself a cute DIY drawstring travel laundry bag and keep your suitcase organized on your next trip! I have always loved traveling but HATED living out of a suitcase. You know how everything gets all jumbled up and the dirty clothes live next to the clean ones and the next thing you know, you’re sniffing socks to see if you’ve worn them? Tell me that happens to other people? When Aa travels for work, he stays at the kinds of places where you send your laundry out and they return it later that day with each individual pair of underwear wrapped in plastic and your shirts dry cleaned, pressed and hung. But in real life, like normal people, we’re usually in a regular, not-the-cheapest-on-travelocity-but-almost, hotel. And so when Aa suggested I started using the plastic laundry bags that even cheap hotels usually have in the closet to corral some of my suitcase mess, it was kind of a revelation! I mean really, duh, right?! But it made things so much easier! Of course I kind of hated the plastic bags. For one, I’m generally, in life, trying to do my best to use as little plastic as I can. But also, for a long trip they’re never big enough and they were usually pretty flimsy. So before we went to California for a little winter sanity vacation, I thought, why don’t I make myself a nicer travel laundry bag! 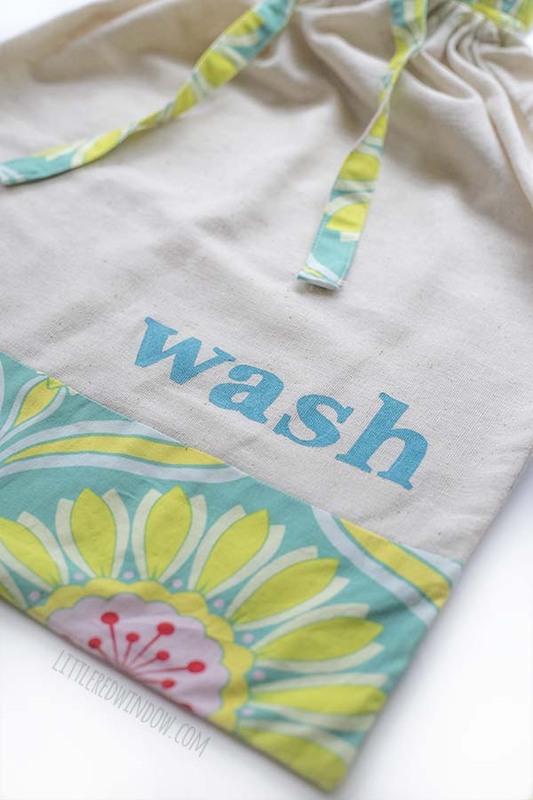 This Drawstring Laundry Bag is a step up from Easy 3 Seam Drawstring Bag and I did do a little extra work to make it pretty, but if you want a really really simple version, that’s a great tutorial. 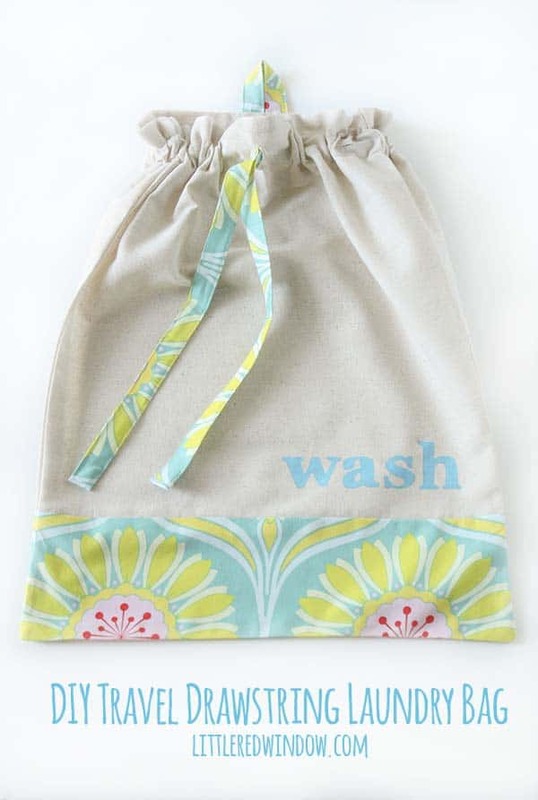 This drawstring travel laundry bag combines some pretty fabric and one of my favorite techniques, freezer paper stenciling (which, if you’ve never done it before, is really easy)! 2. Set aside everything but one of the main body pieces. 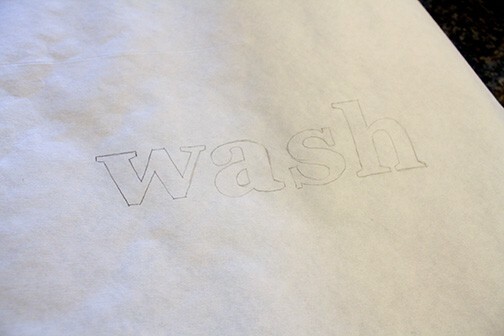 On your freezer paper, draw or trace the word “wash” on the matte (not shiny) side. 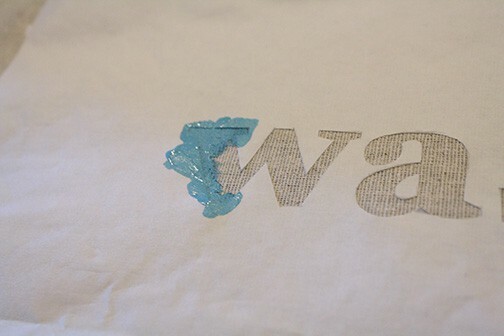 Unlike other kinds of stencils, you don’t have to draw it backwards! 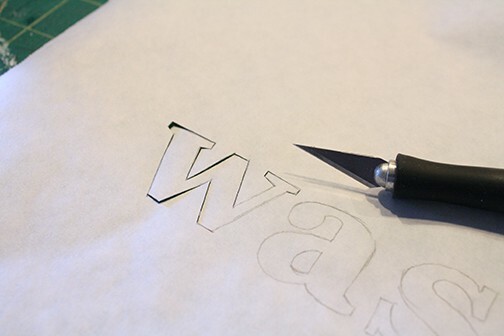 Using an exacto knife, carefully cut out the letters. Be sure to save the little piece from inside the ‘A’! Position your stencil where you want it on the main body piece. I placed mine in the lower right corner making sure to leave enough room for the seam allowances. 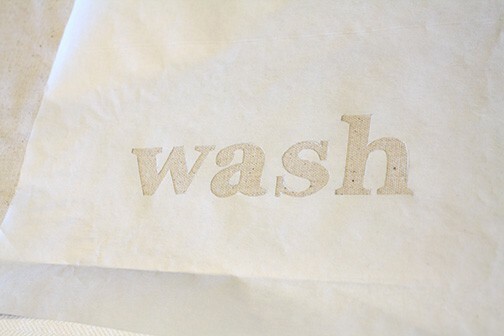 Using a medium setting and no steam, carefully press the stencil with an iron to adhere it. Be especially careful with small pointy ends and try not to rub with the iron. Don’t forget the center of the A! 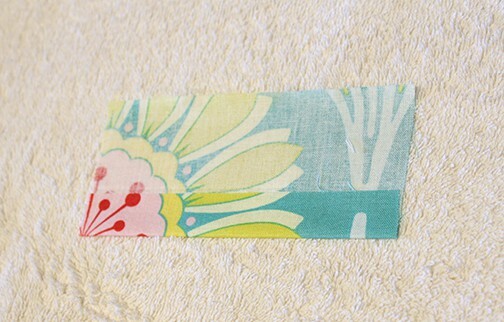 Then use your fabric paint to fill in the stencil. Be careful to always brush along or away from the edges, not towards them, to avoid paint bleeding underneath. 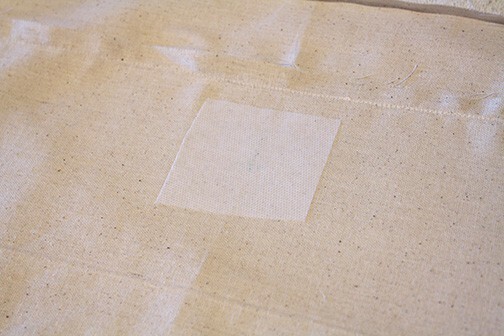 When you are done, carefully peel off the freezer paper before the paint dries completely. 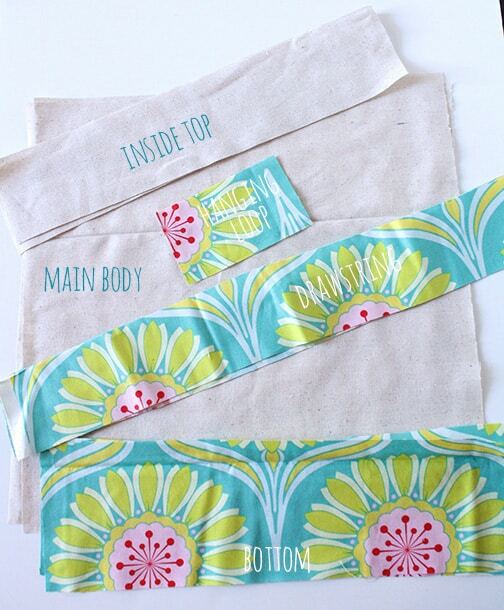 Follow any instructions on your fabric paint for drying time or setting the paint. Now it’s time for sewing! 3. First we’ll make the hanging loop and drawstring. 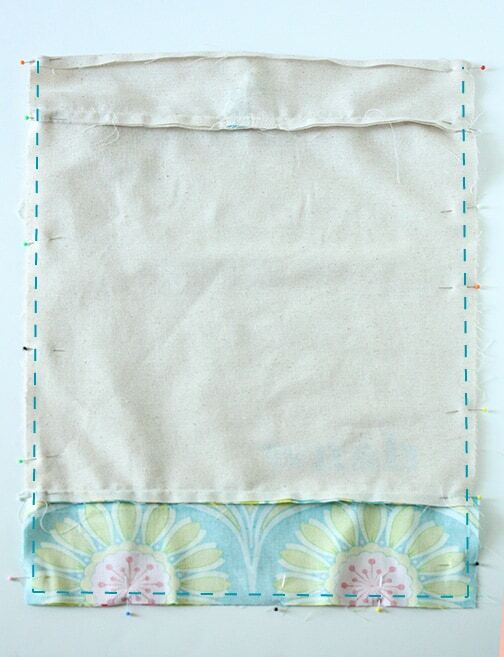 Lay out the small rectangle you cut for the hanging loop. Using an iron, press it in half the long way and then open it again. 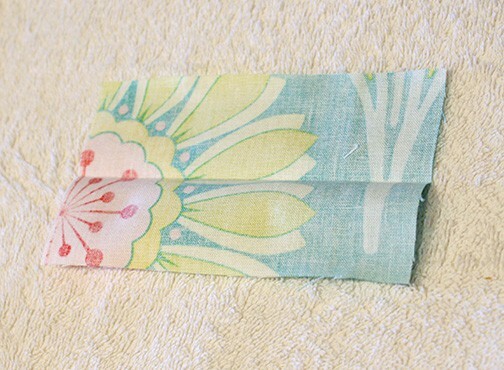 Now fold and press one long side in to the middle and then the other, like this. Finally, fold it all in half again the long way and pin. 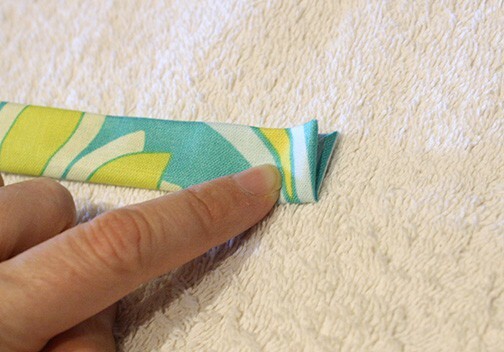 You will topstitch along both long edges of the fabric. 4. 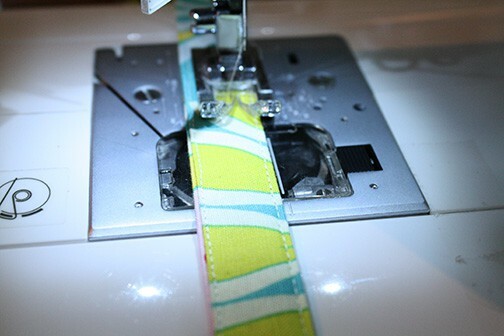 To make the drawstring, follow the exact same procedure that you did for the hanging loop. 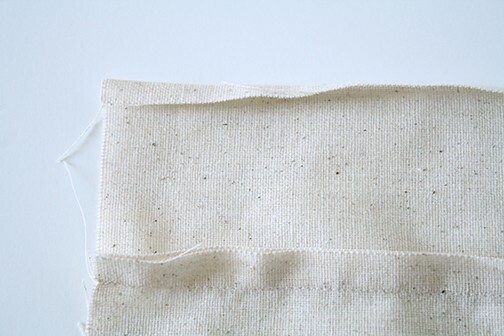 The only difference is that, for the drawstring, you need to finish the ends because they will be exposed. 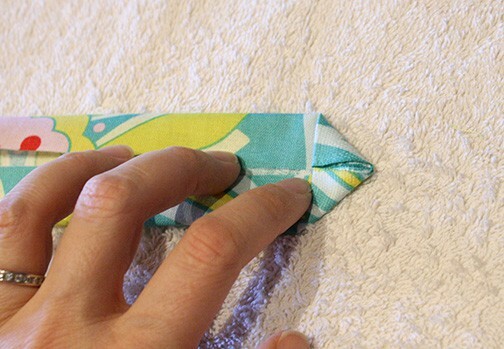 To do that, after completing all of the folding and pressing steps above, unfold one end slightly and then fold each outer corner down and in toward the middle. Then fold that pointt end in as I’m doing below. 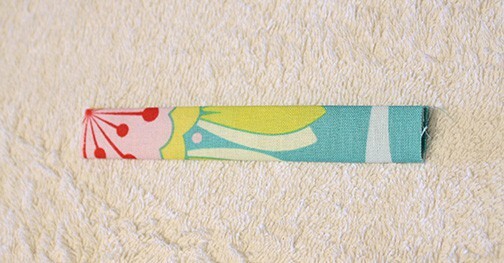 Now, refold the whole strap in half the long way again and pin and the end will be nicely enclosed and finished. 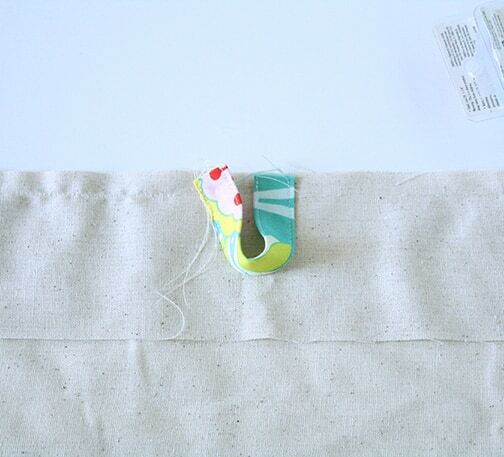 When you topstitch the drawstring you will also need to stitch across the short ends. Next we can assemble the main part of the bag. Take the bottom piece and the inner top piece and flip them over so they lay on top of the main body piece, right sides together, and pin. 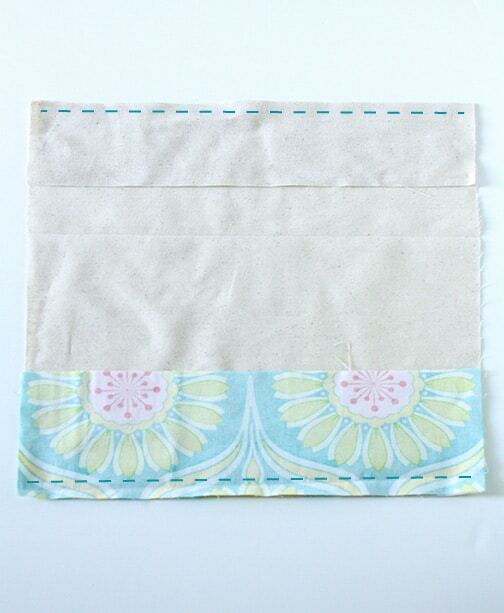 Stitch along those seams with a 1/2″ seam allowance. 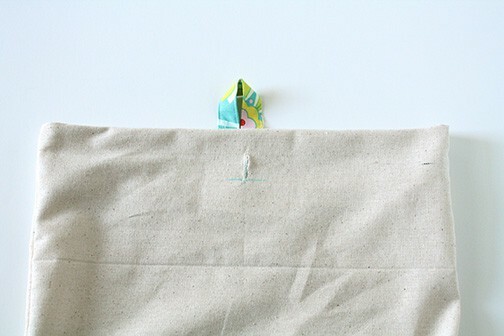 The inner top piece will fold down inside the bag to form the drawstring casing. 7. 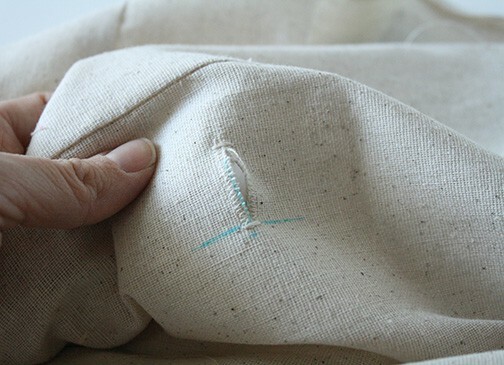 Next we need to make the buttonhole for the drawstring. 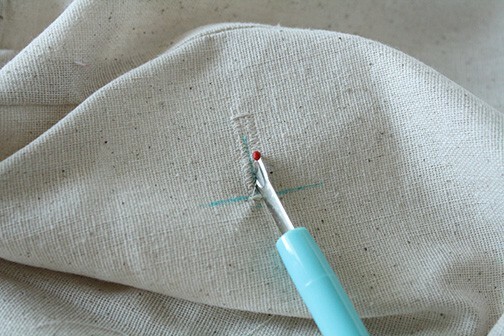 On the front of your bag, measure and mark where you want the buttonhole to go using a disappearing ink fabric pen. 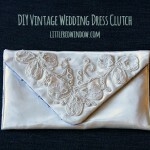 I placed mine in the center of the bag, 2 inches down from the inner top fabric seam. 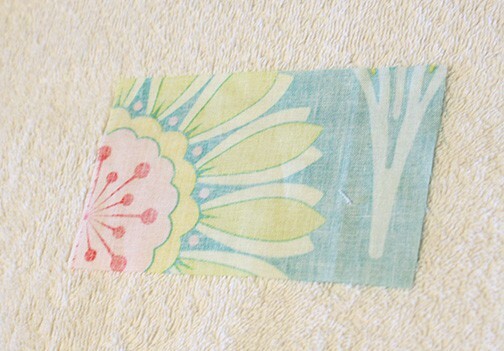 On the back side of the fabric from that mark, iron on a small piece of fusible interfacing, following its directions. 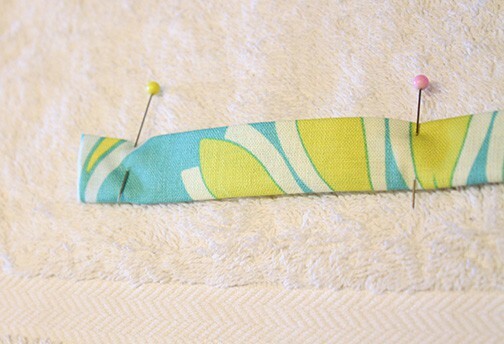 This will make your buttonhole stronger. 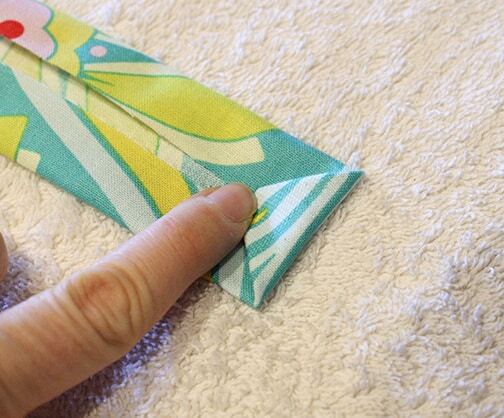 Then following the instructions that came with your sewing machine, use a buttonhole foot to make a 1″ buttonhole. (Want to know a secret? 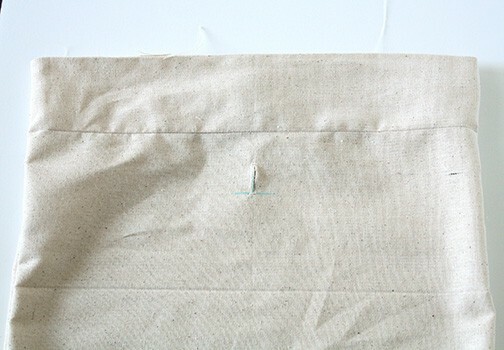 I used to think buttonholes were super scary. Like I’ve been sewing for 10+ years and I never really made one until recently. I was terrified of screwing it up and having to start a project over. 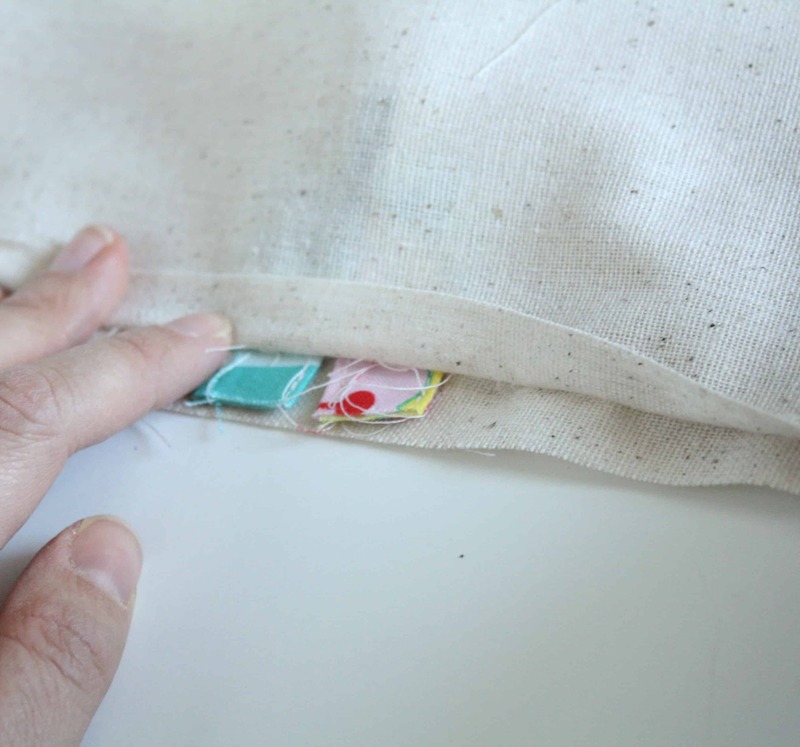 Use your seam ripper to open the buttonhole. 8. The final step before assembly is to fold over the top edge of the inner top piece 1/4 inch and press. 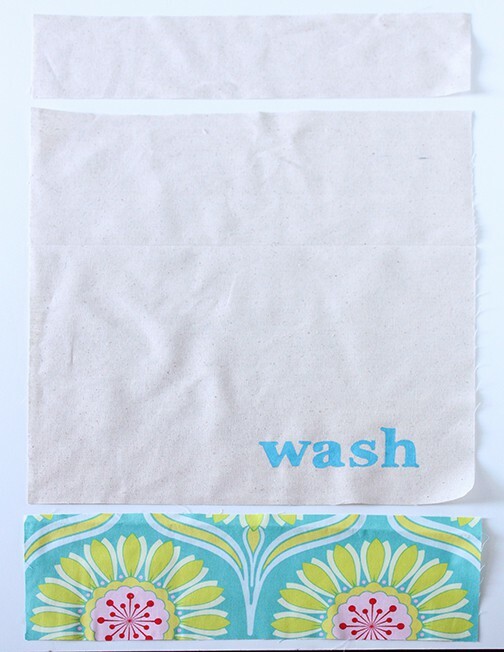 Do this with the front and the back of the bag. This is just so you don’t have a raw edge inside the bag. If you don’t care, skip it! 9. Now lay your front piece down right side up and lay the back piece on top of it right side down (so right sides are together). Pin along the sides and bottom edges being sure to line up the seams where the bottom and inner top meet the main body pieces. 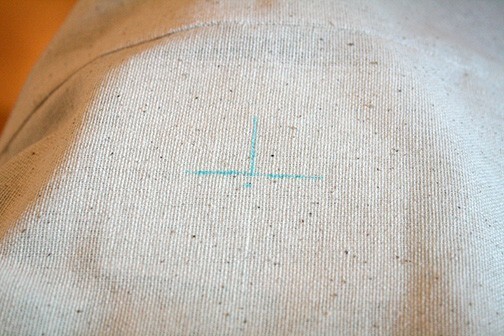 Sew along the sides and bottom with a 1/2 inch seam allowance as shown. Then turn your bag right side out! 10. 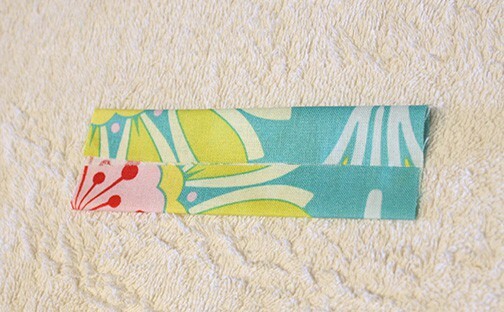 Finally, we’ll make the drawstring casing. 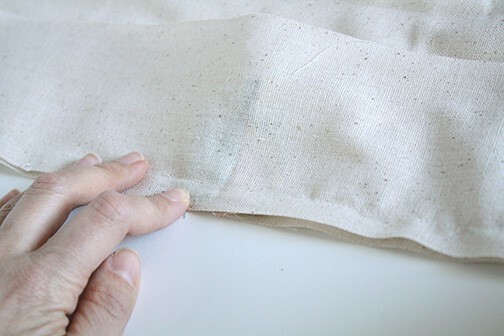 Then, keeping the bag open like you would if you were hemming pants, sew two seams, one just above and one just below the buttonhole, around the entire circumference of the bag to create the channel for the drawstring. 11. 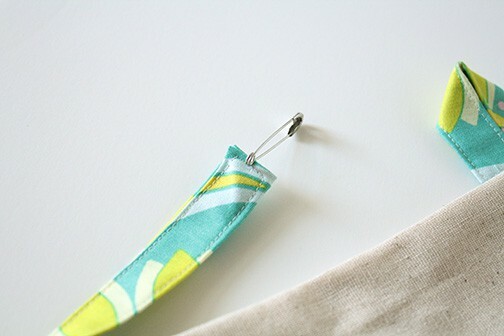 Put a safety pin through one end of your drawstring and insert it into the buttonhole. 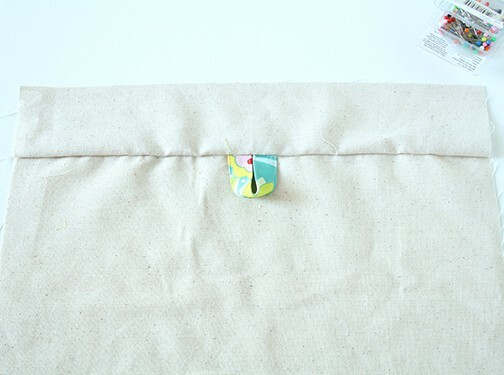 Use the safety pin to thread the drawstring through the casing, around the bag and back out the buttonhole. When you’re done your bag will look like this! 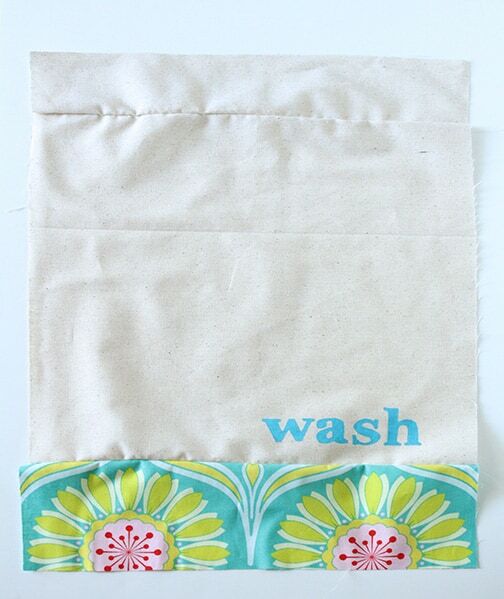 Can someone please tell me the finished size of the laundry bag, thanks. It’s approximately 15″ x 28″ but really you can make it any size you want! Aww, thanks! Nice to meet you! thank you for this lovely easy tutorial… i made one to send it for my dad with my bro who traveled to India last night. 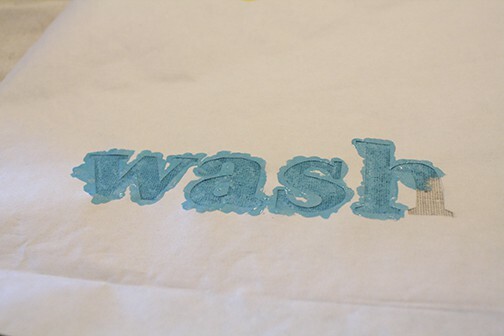 instead of the ” wash ” logo i just did a hand embroidery ” dad “..:) … thanks dear .. Thank you for this fabulous (and adorable) tutorial! I bought a sewing machine with my birthday money, and this is the first thing I’ve sewn in 17 years. I’m super pleased with how well it turned out, and I attribute it entirely to your awesome instructions – this finishing level is much better than anything I ever accomplished in Junior High Home Ec. 😉 Thanks!! oh my gosh, yours is ADORABLE! I’m so glad you liked the tutorial and found it easy to follow! Thanks for stopping by! Thanks Staci! I’d love to see it!! This is so cute. Thank you for a great tutorial. This is such a great idea! I think I may just make this before our vacation this summer. Those little hotel plastic bags always rip too, because they’re never big enough. This is perfect. Thank you for sharing on Inspire Me Wednesday. Featuring you in next week’s issue. I love this! Very nice tutorial on the drawstrings! Thanks for sharing! 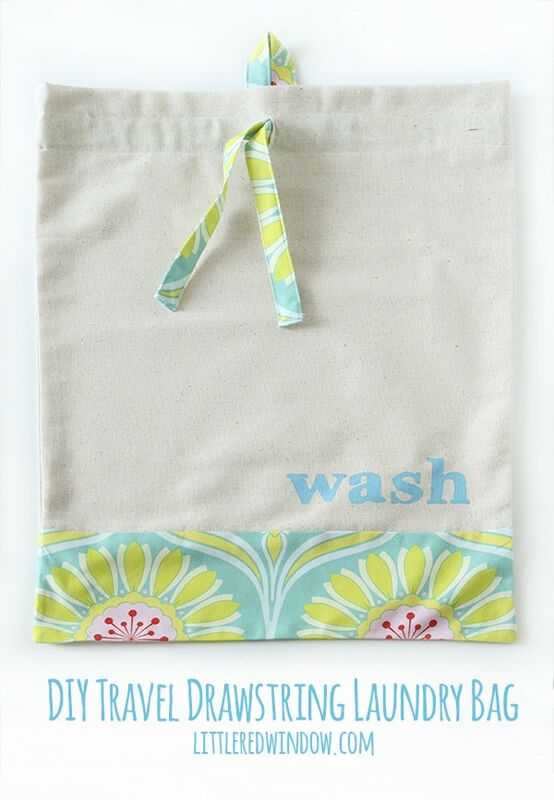 This is the cutest laundry bag I have ever seen! I lived in China and Korea for awhile and they have fabric laundry bags in the hotels. They aren’t as wonderful as this at all! Thanks for linking up to Tips and Tricks. This is so cute!! Thanks for the notes on how to make it! 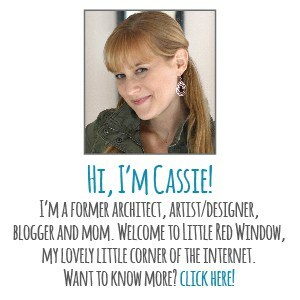 Im a new follower from “Thursday Favorite Things”! Adorable!!! And an excellent tutorial too! 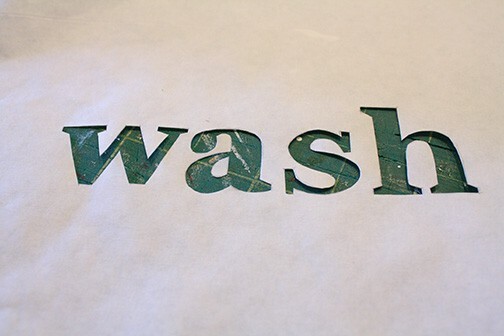 I love freezer paper stenciling! 🙂 Thanks for joining us at the Mom-Lovin hop today! Haha, Julie, I knew what you meant! And really, when you’re a regular crafter what’s the point of getting a manicure? It just gets ruined in two seconds! Oh my goodness! This is simply the cutest! I want to make one for my daughter for when she goes on sleepovers. Fabulous tutorial… thanks so much for sharing. That is a great idea Jennifer! 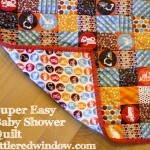 I don’t know why I didn’t think of that, I’ve got to make one for my little one for when he goes to Grandma & Grandpa’s! Beautiful! I love to travel too, I’m a backpacker traveler. 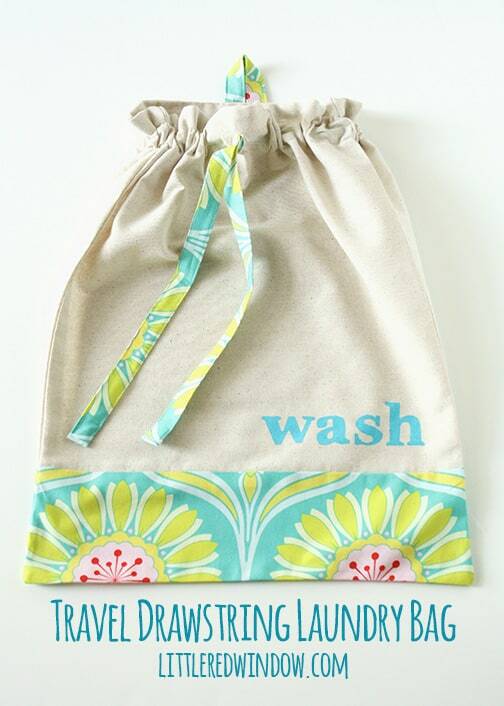 A wash bag would be great since I’m always hand washing stuff along my travels. That is so creative and cute! 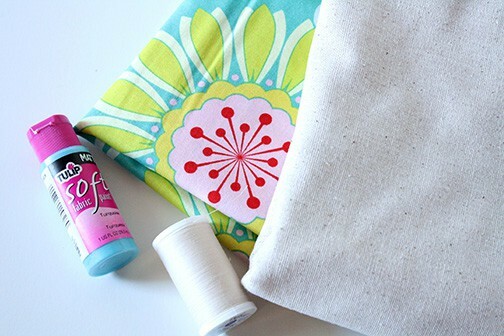 I have been wanting to make some drawstring bags out of burlap and then just stuff them and make them into pillows! Thanks Adelemamabrown! That’s a great idea! 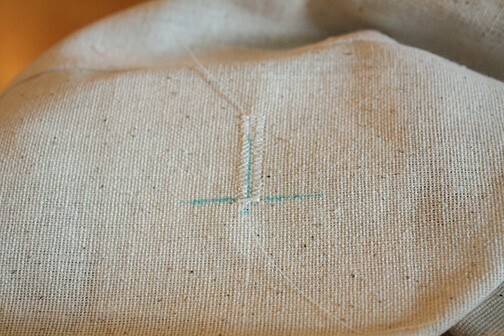 Check out my 3 seam drawstring bag tutorial if you want it to go super fast!